June 2018 - we are now located in Unit 3 of The Water Shed building (across the street from our former location). Come and visit us at our new premises. Mr. McKenna is a 6th Dan, I.T.F. Click on this link and print off a COUPON for a free week of TaeKwon-do / Jiu Jitsu. 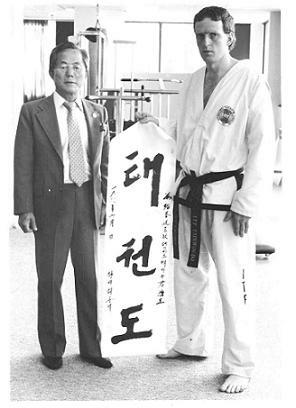 Click on this link to see an article on Sara Lynn Knockwood, 2002 World TaeKwon-Do Champion. Click on this link for information about how to apply for a tax credit toward a membership for students ages 17 and under.